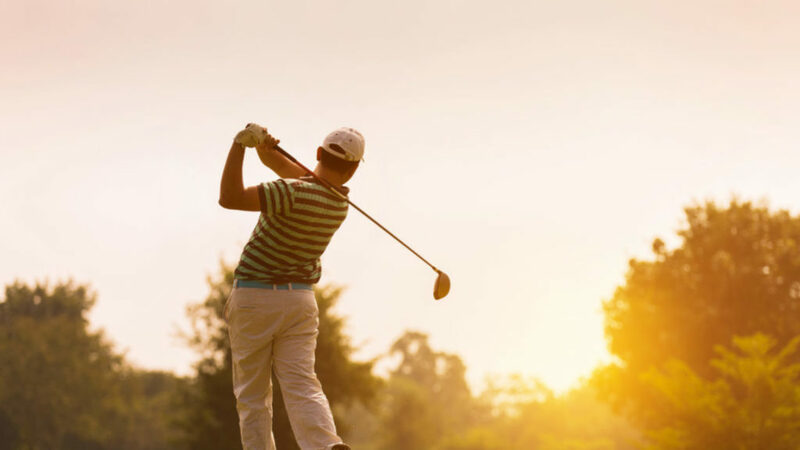 Ready to join a golf league this Spring? We have team and individual openings, men and women. See the flyer below, choose your league and complete the appropriate league registration form and email back to info@byrncliff.com. GHIN and Byrncliff Golf Discount Club/Golf VIP Discount Club registration forms are all the way at the bottom of this page. No penalties for missing weeks. Play just when you want to! Don't want to play a rainy day? If it rains and there is no league that day due to conditions, then you're entitled to using that round anytime for the rest of the season during the week after 3 pm. 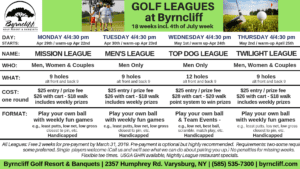 USGA GHIN Handicap system: View and Print by clicking link below "GHIN Registration Form 2019 PDF"
BYRNCLIFF GOLF DISCOUNT CLUB REGISTRATION 2019 - View and Print by clicking link below "Byrncliff Golf Discount Club Form 2019"